This is the story of his epic career, from child actor to one of the most successful songwriters of the pop music era. A drummer since almost before he could walk, Collins received on-the-job training in the seedy, thrilling bars and clubs of 1960s swinging London before finally landing the drum seat in Genesis. Later he would step into the spotlight on vocals after the departure of Peter Gabriel, and compose the songs that would rocket him to international solo fame with the release of Face Value and ‘In the Air Tonight’. 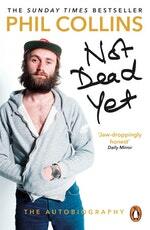 Love Not Dead Yet: The Autobiography? Subscribe to Read More to find out about similar books.